Precious metals futures finished divided Thursday with platinum and palladium higher and gold and silver lower. Palladium logged its second straight record settlement — its ninth record close in ten sessions. Gold for February delivery dipped $1.50, or 0.1%, to settle at $1,292.30 an ounce on the Comex division of the New York Mercantile Exchange. 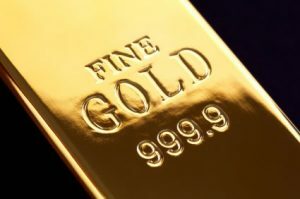 "On the one hand, the outlook for gold and other metals look bullish in 2019. The Fed’s likely inaction this year [according to some analysis, though others disagree] should help to devalue the dollar against her major rivals," MarketWatch quoted Fawad Razaqzada, market analyst with Forex.com. "But on the other hand, the fact that all the other major central banks are meanwhile in no rush to raise interest rates means there is no real alternative currency that yield-seeking investors will be piling into yet," he said in recent commentary. "So, the dollar could remain supported for a while yet." Gold futures ranged from a low of $1,288.30 to a high of $1,295. They gained 0.4% on Wednesday, shed 0.2% on Tuesday, and rose 0.1% on Monday. Elsewhere, silver for March delivery declined 10.2 cents, or 0.7%, to close at $15.536 an ounce. Silver futures traded between $15.48 and $15.65. They rose 0.1% on Wednesday, lost 0.4% on Tuesday, and climbed 0.2% on Monday. April platinum advanced $4.40, or 0.5%, to $812.30 an ounce, ranging from $803.60 to $816.10. Palladium for March delivery jumped $29.70, or 2.3%, to settle at $1,348.20 an ounce — another fresh record. Palladium traded between $1,320.20 and $1,396.40. Gold declined $1.60, or 0.1%, to $1,290.70 an ounce. Silver rose 3.5 cents, or 0.2%, to $15.757 an ounce. United States Mint bullion sales rose by a combined 5,000 ounces in American Eagle and Buffalo gold coins, by 1,000 ounces in American Platinum Eagles, and by 75,000 ounces in American Silver Eagles.